MANILA -- Malacañang on Thursday denied that Senator Antonio Trillanes IV is a victim of political oppression. “Anong political oppression ang sinasabi nila? Wala nga tigil ang mga banat nya kay President (What political oppression are they talking about? He is relentless in attacking the President),” Presidential Spokesperson Harry Roque said in an interview with Presidential Communications Operations Office Assistant Secretary and blogger Margaux "Mocha" Uson. “Siya ang patunay na gumagana ang demokrasya sa Pilipinas dahil walang tigil ang banat nya sa President at sa pamilya ng President. So walang katuturan yan (He is proof that democracy is working in the Philippines because of his relentless attack against the President and the family of the President. So it is not true),” he added. Roque said even the government institutions are well functioning as proven by Trillanes’ petition at the Supreme Court against Proclamation 572 that declared void ab initio (from the beginning) the senator’s amnesty granted by former president Benigno Aquino III. He defended Duterte’s proclamation which, he clarified, declared void ab initio and not revoked Trillanes’ amnesty. “So wala tayong ninire-revoke. Ang sinasabi lang natin hindi nagkaroon ng bisa yan. Kinakailangan na ibalik sa kulungan si Trillanes (We are not revoking anything. What we are saying is it (amnesty) did not take effect. 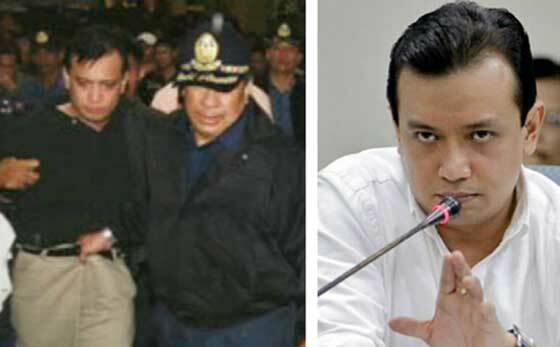 Trillanes should be put back to jail),” Roque said. Aside from failure to comply with the minimum requirements of the amnesty proclamation, Roque said Trillanes has violated the terms and conditions of the amnesty. Roque said the government is after accountability when Duterte voided Trillanes’ amnesty.